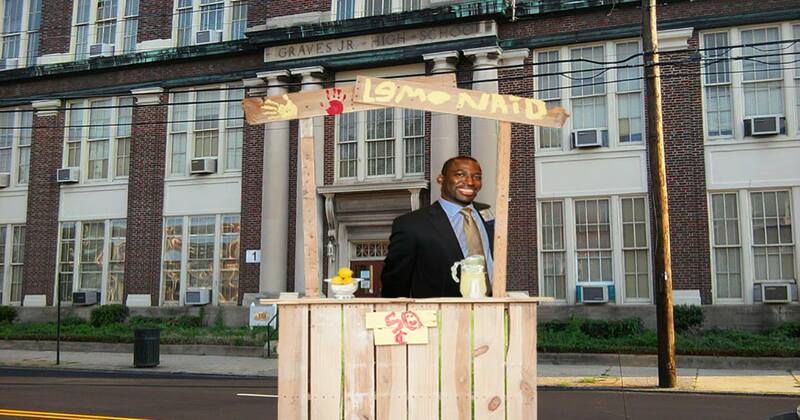 RICHMOND, Va. — Stating that the idea worked when he was a kid trying to raise enough money for a Razor scooter, sources confirmed that Mayor Levar Stoney opened a lemonade stand on Saturday in an effort to help fund Richmond Public Schools. “Raising money for the public school system was one of my biggest challenges when coming into office,” Stoney explained. “The City Council proposed other solutions for this funding, but I knew this one would be guaranteed to work.” He further stated his hope that this could eliminate the recent meals tax increase, showing signs of guilt for imposing the burden of public schools on locals just trying to have a relaxing dinner out. “If this doesn’t get us to our financial goal, I’ve outlined plans for a neighborhood bake sale,” he told reporters while trying to lure in drivers and pedestrians by shaking his money tin at them with pleading eyes. At press time, Stoney was seen setting up his lemonade stand next to a group of Girl Scouts selling cookies, reminding them that this is a free country and he can do what he wants. Fancy The Peedmont? We fancy you back, so check out our merch offerings in our online store.